The hits just keep coming this weekend! Power Rangers Dino Charge products continue to trickle out to retail and as they do more and more of our users are finding them. Today our very own GoseiWonder has come upon the Dino Charge Dino Cycle with Black Ranger figure! Found at the St Cloud MN Toys R Us location, the Dino Cycle is Power Rangers Dino Charge’s interpretation of the Deinochaser motorcycle from Zyuden Sentai Kyoryuger. 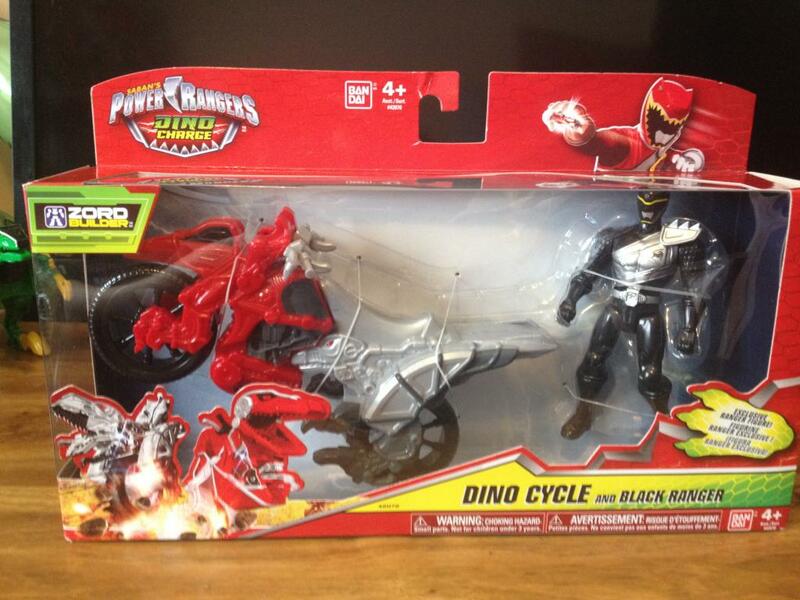 The example found here is a red/silver variation of the standard yellow/black Dino Cycle and comes packed with the Dino Charge Black Ranger 4″ figure. A standard yellow/black » Continue Reading.